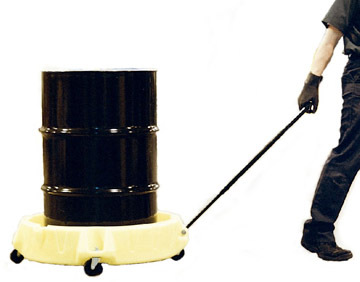 Easily move drums from one area to another with this inexpensive moble dispensing unit. 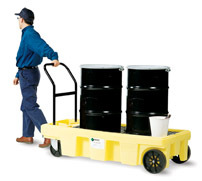 Roll your drums into position for convenient and inexpensive mobile dispensing with optional handle. 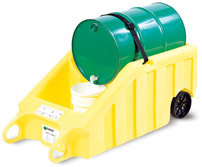 Incidental spills and drips are contained in the well, with a spout for easy draining. Shipping rates are estimates only, and do not include fuel surcharges that change daily. Actual rates may vary.